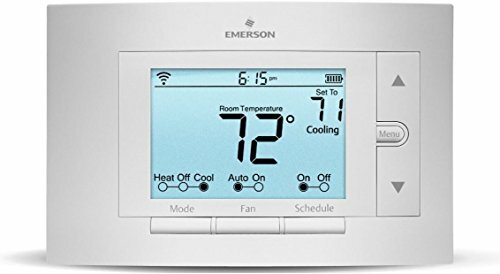 Wi-Fi thermostats are also known as smart thermostats They are essentially a more hi-tech version of the thermostats that you are typically used to. 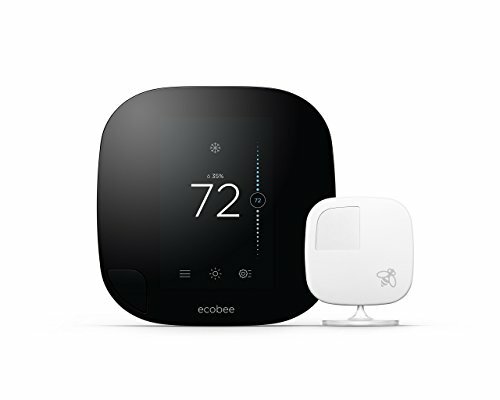 You are able to connect with these thermostats with the help of the internet. Therefore, you can use your smartphone or laptop to create the ideal temperature and setting in your home. As it is able to customize the way that the thermostat works, you can ensure that your home is being more energy efficient. One of the undeniable perks of this Wi-Fi thermostat is that it is compatible with numerous house systems. Therefore, you will not have to update or change your home features prior to installing this thermostat. It is compatible with radiant heat, heat pump, geothermal, gas, and oil systems. 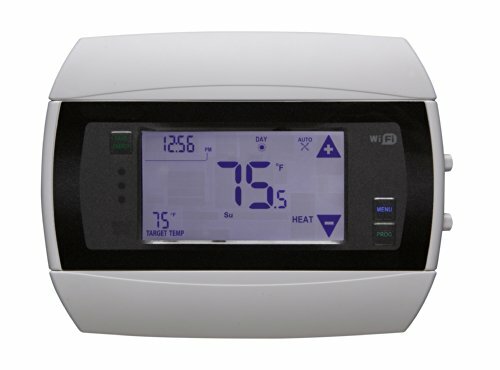 This thermostat system is easy to install and will be up and running in no time at all. It caters to both heating and cooling systems. It offers up four stages of heating and two stages of cooling. Once connected to the Wi-Fi, it becomes a smart thermostat. You can then download the app that enables you to control the thermostat from wherever you are in the world. There are already pre-loaded schedules that you can use to make things easier for you. However, if you require more specialization, it is simple to customize these settings to better suit your needs. A fun feature is that you can also control the Wi-Fi thermostat with your voice as long as you are using an Amazon Alexa device. With this Wi-Fi thermostat, you have to do as little as possible. This is because it truly does deserve its ‘smart’ title. Along with the thermostat, you also get one free remote sensor. This is used to detect the particular settings in a room as well as the number of people in it. With this, the thermostat becomes better equipped to direct the heat or cold air to the right rooms at the right time. Right out of the box, the ecobee3 comes equipped with its own schedule. Now this is well-suited to most daily schedules. However, if your timings differ even a little bit, you can change the settings to better suit you with the greatest of ease. Another advantage of this system is that it takes several factors into consideration when heating or cooling your home. It first identifies the weather outside as well as your home’s energy profile. This increases your comfort level while simultaneously ensuring that you are saving a lot of money in the process. Having this Honeywell Wi-Fi thermostat in your home will undoubtedly make it a lot easier for you to monitor and manage your home temperature. If you are at home, you can choose to control the thermostat via your home’s Wi-Fi connection. If you are outside of your home, you can simply use the Total Connect Comfort app to tap into the system. This can be downloaded onto both Android as well as iOS phones. 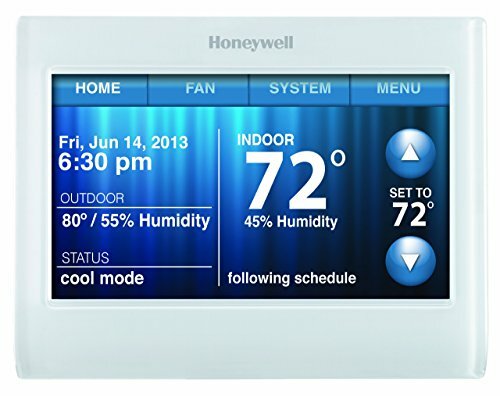 This setup is really easy to use and the thermostat is certainly a colorful addition to your home. This is due to the touchscreen display system that allows you to customize the appearance. You have the option of seven day programming as well as to select the energy saving mode. Honeywell is a well-known brand and thus, you can be reassured that you are receiving the highest quality. This is proved that this thermostat is insured under a five year warranty. As an added bonus, it is also quite easy to set up this thermostat and is not all that different from installing a more traditional option. 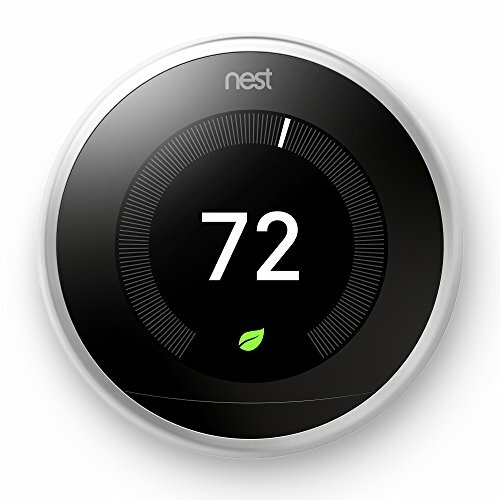 There is no doubt that this Nest thermostat is definitely one that is capable of learning. Once you have programmed the settings, the thermostat automatically ‘remembers’ which settings you prefer. In doing so, it is capable of creating a schedule for you based on what your previous choices have been. The Nest system also works well in a variety of households. It does not matter if you have gas, oil, forced air, electric, heat pump, hot water, geothermal, solar, or radiant systems. It will be able to adapt to it. Not to mention, it also manages to function in homes that are frequented by low voltage. A truly innovative feature of this Wi-Fi thermostat is that it can sense when there is no one at home. Then, it automatically shuts off, ensuring that there is no energy or electricity wasted. This means that you can save considerably on your utility bills. However, you can still program the Wi-Fi thermostat when you are not at home. You can simply use the app on your smartphone or laptop and change the settings as you please. With the Radio Thermostat you will never have to spend more money on your heating or cooling then you absolutely have to. This Wi-Fi thermostat does this in an innovative manner. You can connect all of your family’s smartphones to the thermostat. This allows the thermostat to make use of the geolocation feature on all these smartphones. This way, it will be able to detect when there is no one in the house and to turn off the heating or cooling system. However, when you are on your way home, the thermostat will detect this and automatically turn on the relevant system for you. Then, by the time you have got home, the house will be the perfect temperature. Another interesting feature is that you are continuously being provided with reports regarding how the thermostat is functioning and what the temperature in your home is. This will inform you of any irregularities or of any changes in the temperature. In addition to being incredibly useful, this thermostat is also one of the cheaper Wi-Fi thermostats available. Easy installation: Dual powered by battery (3-AA batteries), or system power (C-wire). C-wire needed for proper WiFi installation. Large Touchscreen digital display with backlight easy to read in various lighting conditions. Optional 7 day programming with flexible settings allows full 7-Day programming with up to 4-Periods per day. Puts energy saving at your finger tip with one-touch Away button providing savings on annual heating and cooling costs. [IMPORTANT- Wi-Fi Connectivity Feature] Initial setup of the WiFi module requires setup with iOS app, OSX or Windows computer. Once provisioned and registered the thermostat is controlled via your iOS or Android smartphone using required app. Conclusion: With these Wi-Fi thermostats, you can ensure that you will never again either be too warm or too cold. Thanks to the ingenuous technology and features, you will always be completely comfortable in your home. This is assured regardless of the Wi-Fi thermostat that you choose from this list.